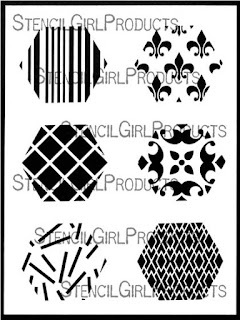 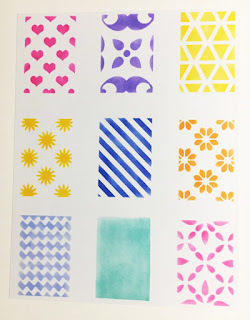 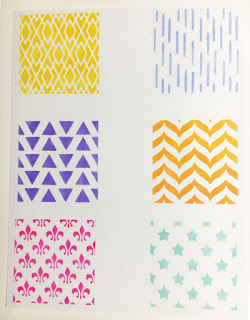 StencilGirl Talk: Mini Printmaking Stencil Sets by Ann Butler are here! 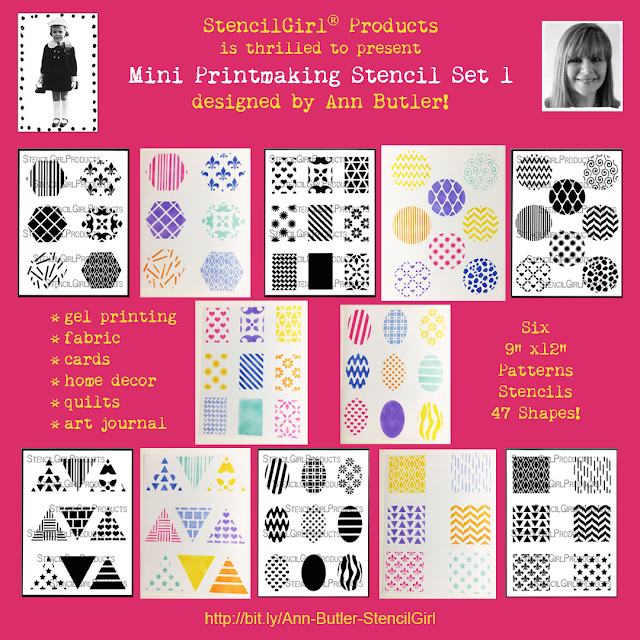 Mini Printmaking Stencil Sets by Ann Butler are here! 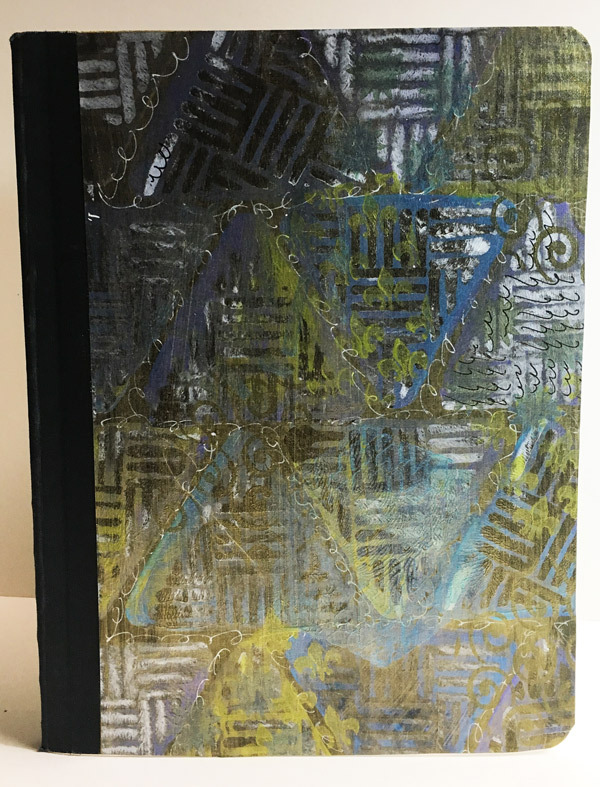 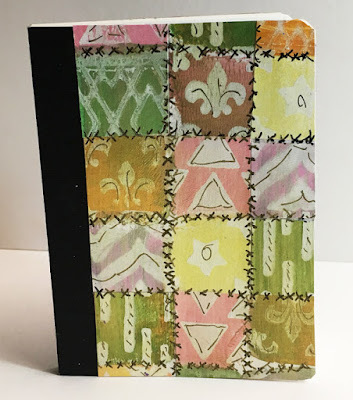 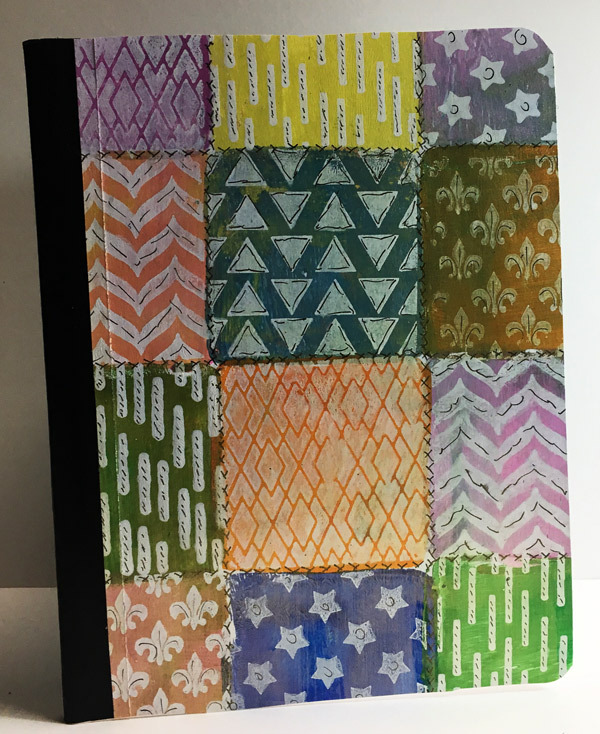 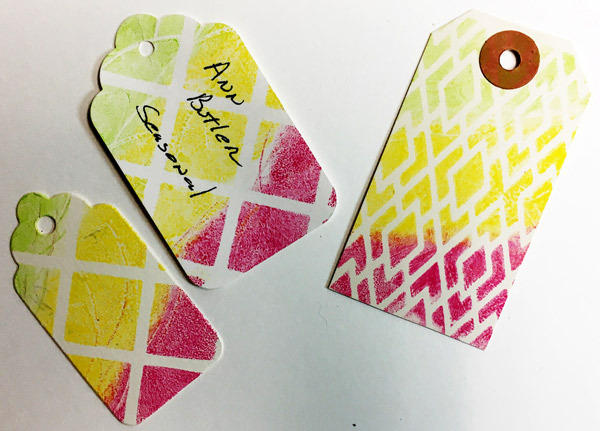 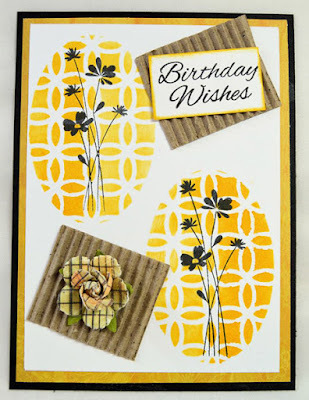 Are you squealing over the artistic possibilities for card making, quilting - faux and actual, playing with patterns and colors, not to mention all the gel printing fun you can create? 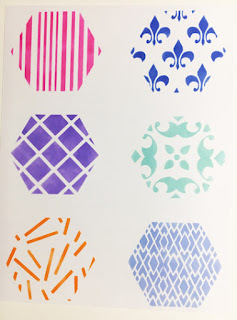 Circles (L691), Squares (L692), Hexagons (L698), Ovals (L699), Rectangles (L700), and Triangles (L701). 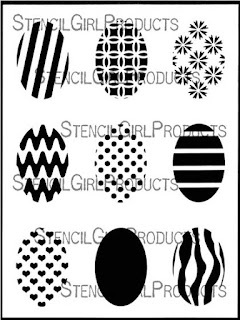 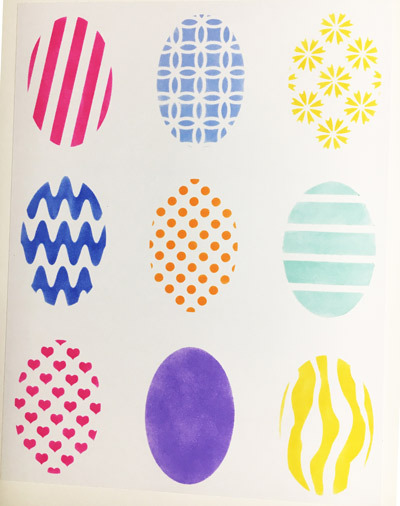 Use your inks, markers, pens, and paints to make this set of nine 3” ovals including vertically slanted stripes, looped crosses, 8-petaled flowers, rick rack, dots, thick horizontal lines, hearts, organic vertical waves, and a solid oval absolutely dance in your artwork. 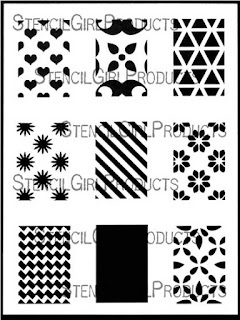 This set of eight 3” circles includes hearts, random pieces, 10 pointed starbursts, straight lines, chevrons, diamond net, curlicues, and zigzags. 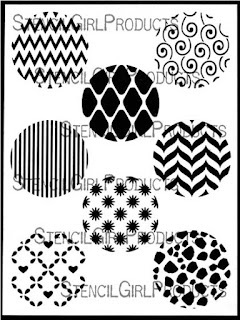 Magnet using the Circles Set. 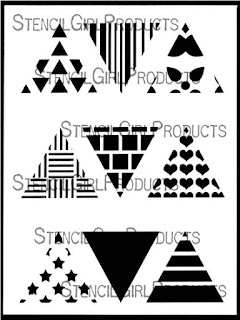 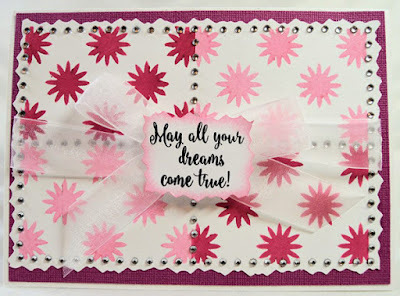 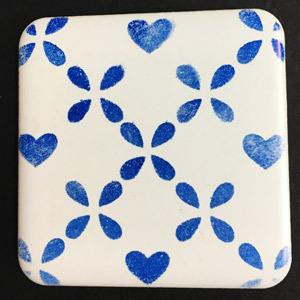 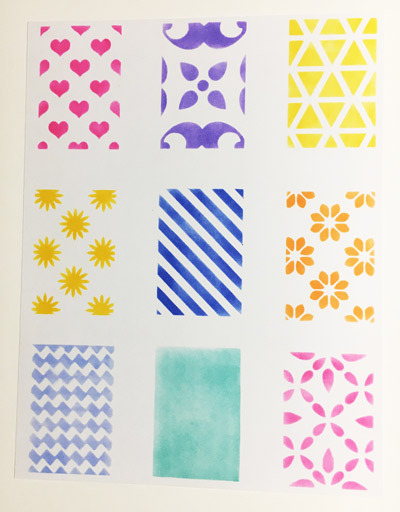 Hearts, a sweetly delicate pattern, directional triangles, starbursts, diagonally slanted lines, patterned flowers, rectangular zigzags, a petal pattern, and a solid give you lots of depth and artistic possibilities when you use this stencil. 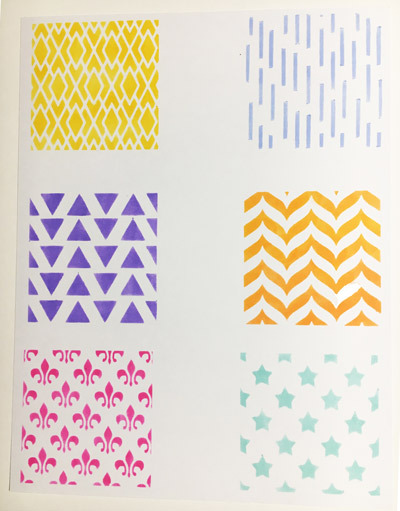 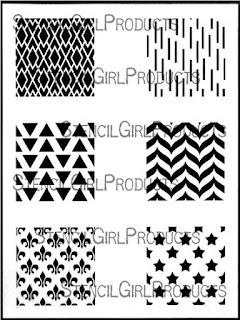 The set of six 3” squares including diamond Vs, random lines, directional triangles, chevrons, Fleur de Lis, and stars are ready for you to use. 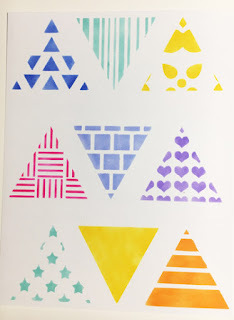 Nine 3” triangular motifs are perfect to use with the mini gel plates to add dimension and depth to your art projects. 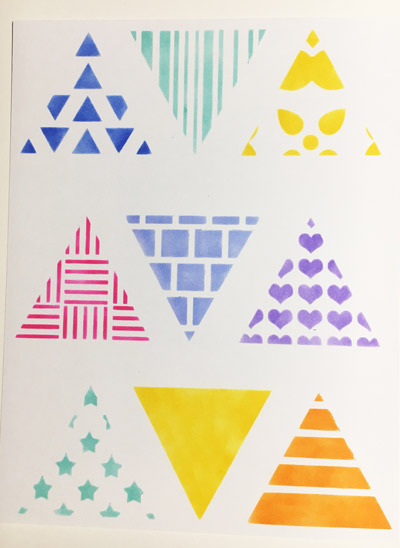 You get directional triangles, thick & thin lines, a sweetly delicate pattern, basket weave, bricks, hearts, stars, a pyramid, and a solid. 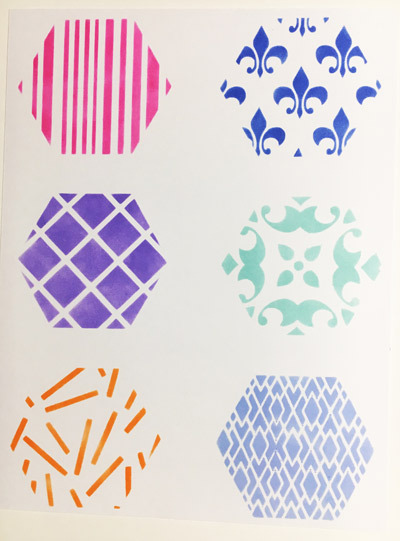 This set of six 3” hexagons include stripes thick and thin, Fleur de Lis, squares, a sweetly delicate pattern, random lines, diamonds & Xs. 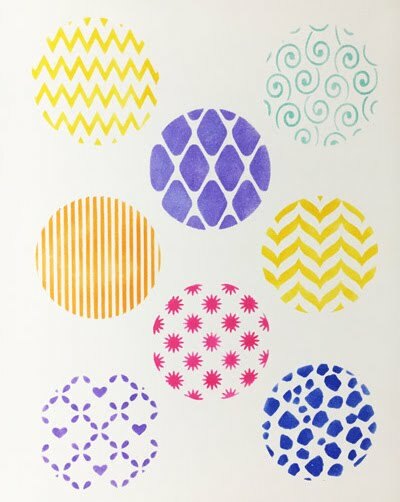 You'll discover all of Ann Butler's stencils right here.